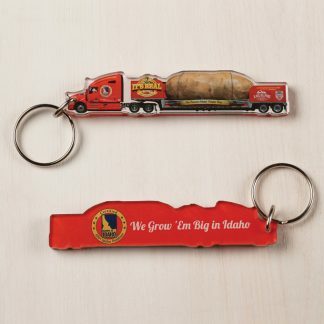 The Big Idaho Potato makes BIG Headlines across America! 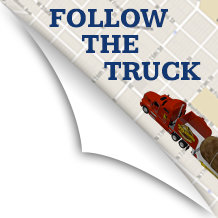 Exciting things have been happening and the Big Idaho Potato Truck is gaining more recognition than ever! This past Friday the Truck made the front page of our local paper, the Idaho Statesman, in an article written by Bill Manny. Bill rode along with the Tater Team on their way to Seattle and detailed his experience on tour. He wrote an excellent article and was so supportive of the truck and team! He talked about how the Big Idaho Potato “charmed Seattle” and how the locals enjoyed seeing our giant spud! 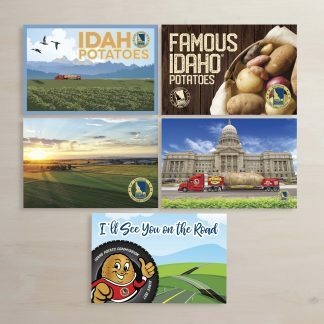 He disscussed how it brought everyone joy and made them hungry for Idaho Potatoes! Feel free to read Bill’s TATERefic article below! The tour has had some new changes as well. Our driver Larbear had to step away from the tour and will be greatly missed. We really appreciate all that he has done for the tour over the years! 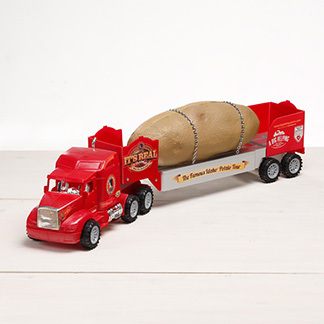 Our new driver is Ron Coles from Melba, Idaho who took a leave of absence from retirement to haul around our 4-Ton spud for the remainder of this tour. 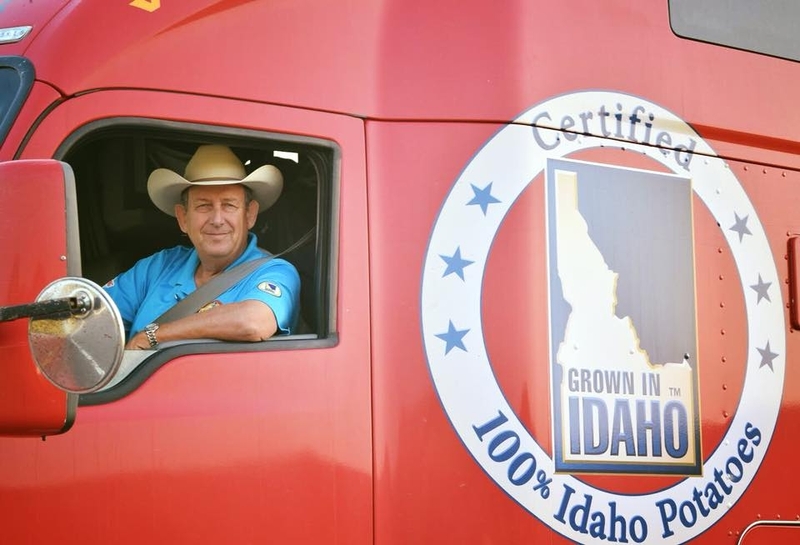 Ron is an easy-going, belt buckle wearing guy who has been driving semi-trucks for 42 years. Ron has lived in Idaho for the majority of his life and he is proud to represent the Idaho Potato Commission and the great state of Idaho! We are on our final stretch of the tour and we can’t believe how quickly it has flown by. We are cherishing every moment and we’re having a great time meeting people across America! The past week was filled with so many memorable moments! 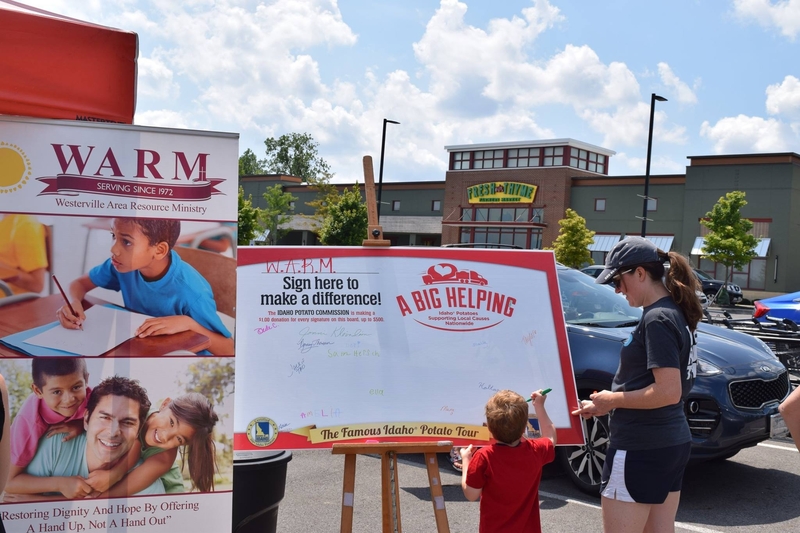 On Monday we had a second event at a Fresh Thyme Market at the location in Westerville, Ohio just outside of Columbus. We partnered up with the area’s local resource ministry called WARM. and gave them a BIG helping! They are a well known charity in the area and they do a lot for their community. They have a food pantry that helps those in need and they also provide educational and employment services for locals. We enjoyed our visit at the Fresh Thyme market and we were happy to give a BIG Helping to WARM! After our thyme in Westerville we trucked along to Chicago for a couple days off! During our time off we were able to park the truck in the lot at Angelo Caputo’s fresh market just outside of the city. We had an event at their store last year and they were happy to have us again. It was great because although the tater team wasn’t working those days the potato is always working! Angelo Caputo’s Market even posted about us on their social media and made it into a miniature event! Signing the signature board for WARM at Fresh Thyme! After the team was rejuvenated from their days off we drove on to the Topeka, KS for a Taco Festival! 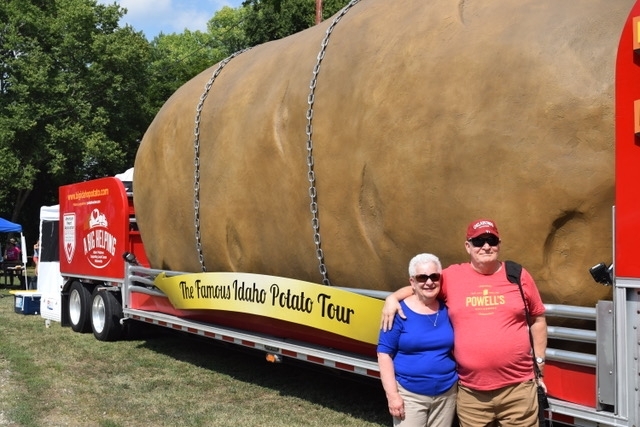 Now you may be wondering why a 4-ton potato would be at a taco festival. Well, I have your answer… POTACOS! Nope, that wasn’t a typo, you can use a baked potato as your base for the taco replacing a flour or corn shell and then you can put all of your taco toppings on it thus creating a potaco! The team ate their weight in tacos during the taco festival and they even found a twisted taco! The twisted taco had french fries that were certified Idaho® potatoes (I made sure to check the seal!) with taco toppings on top! They were so tasty and I was so excited to find out that potatoes are being added to many taco recipes! There was a good turn out at the festival and the team was able meet a lot of people! They shared fun potaco recipes and spread the potato positivity! The tater team even met locals that have a podcast called “The Taco Of the Town.” The team will be featured on it next week so stay tuned to see what we taco about! In addition they had a Super fan Georgia and Tim drive 5 hours from Oklahoma City just to see our Big Idaho Potato! We were so flattered that they came so far for us! We made sure they had a great time and went home with plenty of potato swag! 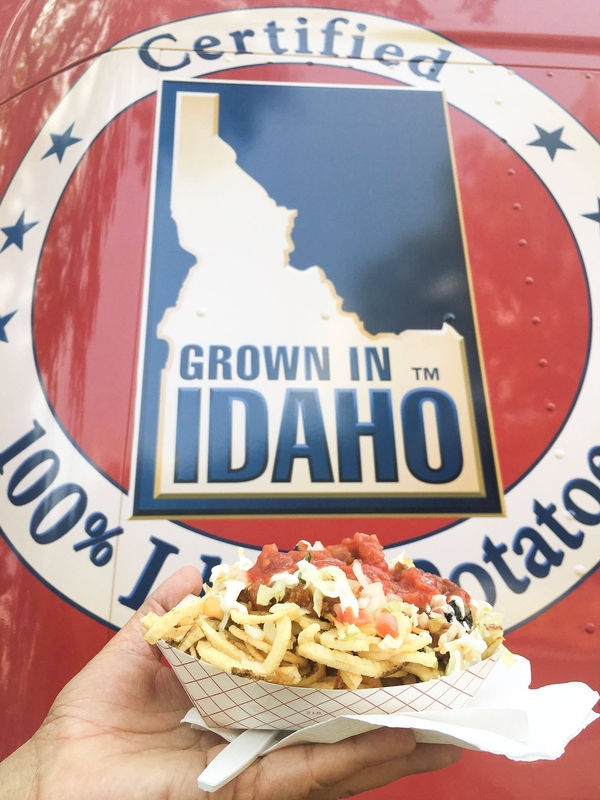 Twisted Taco with fries made from certified Idaho® Potatoes! Super fans Georgia and Tim from Oklahoma City! It is so amazing how many super fans we have across America and how awesome it is that they are so dedicated to see us and drive so long just to see us! We want to take the time to thank you, because with out you this tour wouldn’t be possible! We are so lucky to be doing what we do and our supporters make it possible! Now we are currently in Nashville and then this weekend we will be in Bristol, TN for the Food City Series Xfinity Nascar race! Our “Be a part of the Tater Team’ giveaway winner Brenna from Colorade will be joining us and we can’t wait to meet her and make her weekend special! Keep your eyes on our page because we will be posting some new videos and have some BIG plans! Well that’s all for now! Thanks for reading! PrevPreviousThe Trek to the Midwest!